Posted by IaninSheffield in Musings, Twitter, Web 2.0. 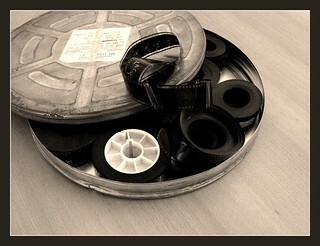 Are the films created the property of Flixtime like Animoto? Is flix ok to use for pupil photos? This Agreement shall continue in perpetuity unless terminated in accordance with this Section 13. Flixtime at any time may terminate this Agreement in its sole discretion, including, without limitation, for breach by you of any of your representations, warranties or obligations under this Agreement. 14.3 You agree that if YouTube does not exercise or enforce any legal right or remedy which is contained in the Terms (or which YouTube has the benefit of under any applicable law), this will not be taken to be a formal waiver of YouTube’s rights and that those rights or remedies will still be available to YouTube. And let’s not even think about PInterest! You hereby grant Flixtime a royalty-free, worldwide, perpetual license to use your Submission for the purposes of providing the services contemplated hereunder. Which suggests to me that Flixtime is at liberty to use your stuff, but doesn’t become the owner … however I’m more than happy to be corrected if my interpretation is too loose! The second point is perhaps a little easier to answer … possibly! 2. “Is Flixtime OK to use with pupil photos?” I’d suggest requires pretty much the same answer as “Is it OK to post pictures of pupils on the Internet?” I’d guess that most (all?) schools have a policy regarding the taking and use of images, so that should be the starting point. If the policy doesn’t specifically discuss posting images, then a re-write might be in order. As do most schools, we post heaps of images of students on our official school website; we want people to be able to see students enjoying their time with us and we feel it’s important to recognise and celebrate student achievements. But we do so following guidelines which parents are aware of and have agreed with. Are sites other than the school website covered by the same terms? Should they be, or are they different? Me? Well I’d be inclined to play safe and try to arrange my activities so that imagery used does not require inclusion of students, if I know the output will be posted to the Web. That way, the issue never arises. Or is that being too paranoid?